I think I may have given myself too much to do. Last week, I was working on two online courses. I’m now on three. I’ll be finishing two, though. Then I have two more starting on May 19th. And one on May 26th. And one on June 1st. And one on June 2nd. That’s right, six courses all at once! So, the first one is Start Writing Fiction at FutureLearn. It started two days ago. I’m absolutely going to do this, and I can even work on Journey to Ariadne with this MOOC. The ones that start on May 19th are Introduction to Ecosystems and Archaeology of Portus, both on FutureLearn. The ecosystems course will be extremely useful for worldbuilding and developing Ariadne. The Portus course is more of a personal interest course, though as it is about the major ancient Roman port, it could be useful. The week after, I start The Diversity of Exoplanets on Coursera. Some of this may be a rehash of courses I’ve already taken, but I’ll see. However, it was one of the first courses I signed up for. In June, I start Paradoxes of War at Coursera, which may be useful as a study of how and why wars happen. This can be useful for my writing. Finally, there’s a course on Organic Solar Cells at Coursera. This just seemed interesting to me. If I drop any, it’ll likely be Organic Solar Cells. When will I have the time for all of these? Any of these courses interest you? I Missed It By One! This is unbelievable. 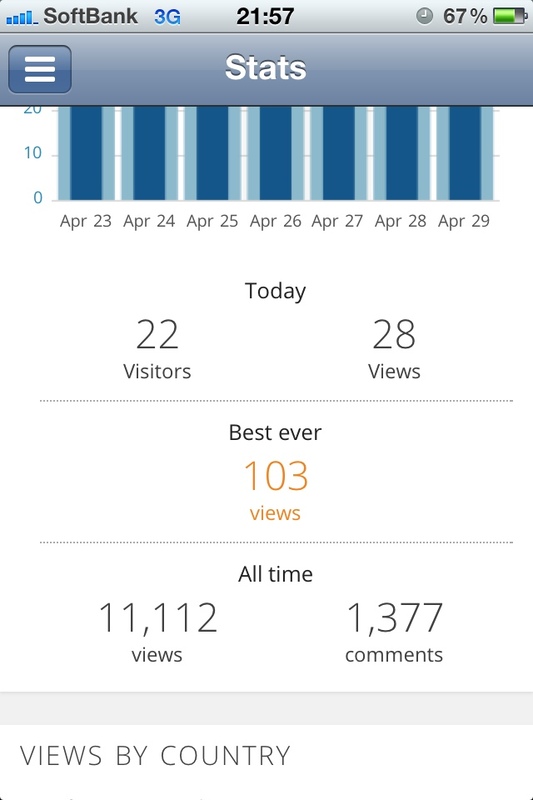 When I checked my blog stats, I found that I missed a milestone that was not really a significant round number, but an interesting number nevertheless. Take a look. I missed 11,111 views by just 1! I can’t believe it! The Solar System has eight planets, if you don’t include Pluto. I’ve sometimes thought about what my favourite planet is. Sometimes, I thought Jupiter, because of its moons. Sometimes, I chose Saturn, because it’s the current giant planet being explored with its remarkable moon Titan. Other times, I thought about Mars, as it’s the most explored planet in the Solar System other than the Earth, and is also our next manned destination. 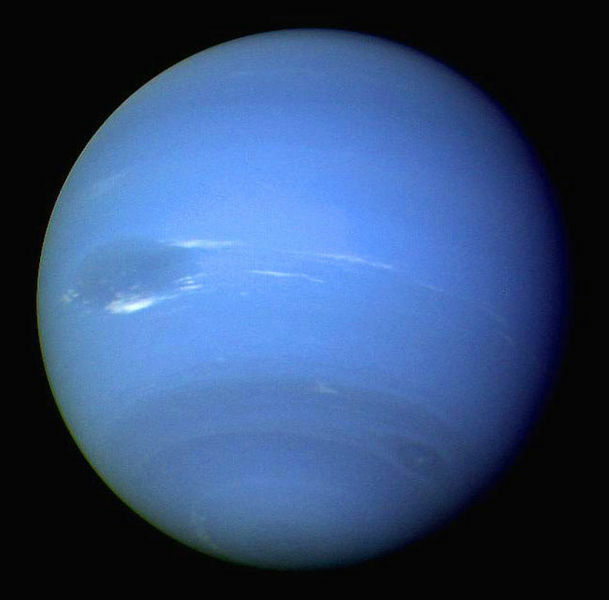 Beautiful blue Neptune and its Great Dark Spot. Photo is courtesy of NASA. But you know what? I like Neptune. It’s the most distant planet, and it’s an ice giant with a beautiful vibrant blue colour. The winds are extremely fast, and as it is so far, it is probably the least understood planet. Triton is fascinating, making me wonder if it’s anything like Pluto. We’ll find out next year. So, what’s your favourite planet? My number one commenter, S. R. Carillo (Sierra) of Permashift, tagged me in this interesting blog hop. The topic is a good one, and I thought I’d share my answers with you. Well, other than my failed attempt at Camp NaNoWriMo with the short story Fractured, I’m working on my main project, which is currently titled Journey to Ariadne. It’s been going slowly, but I’m getting myself into a new routine in which I actually write in a notebook and later type it up. It’s a story that takes place partly on Mars and chronicles humanity’s first attempt to colonise a world outside the solar system. Along with this, I’m developing the background and will be posting a lot of information on the Ariadne page as the Ariadne Encyclopedia. Some of the first things that’ll be included are the sequence of events that lead up to the beginning of Journey to Ariadne and character profiles. I don’t really want to spoil anything, but this will go beyond just science fiction. As it’ll be set on a single planet and be totally devoid of space travel, it’ll focus on humanity’s attempt to create a new society that isn’t concerned with consuming resources, fighting for territory, or polluting the environment. It will include something that I would rather not discuss at this time, because it would spoil things. I’m writing what I want to write. Or more precisely, I’m writing the kind of story that I’ve wanted to read. I’ve also been very interested in worldbuilding, so I wanted to write something based on a world that I created several years ago. It’s been a work in progress for many years, and only recently have I started to actually plan out and write the stories that I’d thought about long ago. It’s time to bring them to life. I’ve been trying to find a process that works for me. I used to just do my writing on a computer, while planning out on paper. Basically, the worldbuilding was done on paper, lots of paper. The basic planning and outlining is done in a notebook. I also write a lot of scenes for later use in a notebook. Once I do get everything into a Word document, I edit it, let it sit for a while, read it over again, then submit it for critiquing. After that, I do another revision and in the case of Journey to Ariadne, I post it to my author website. As I’m not yet at the point where I’m editing the entire story, I can’t say exactly what I’ll do. However, what I do plan on doing is to do some major editing and rewriting and prepare it all in one Word document to be sent to beta readers. After that, I’ll rewrite again, let it sit for a while, then do another round of editing. In the meantime, I’ll be working on my first full length novel while Journey to Ariadne is being edited and beta read. I’m going to tag my other top three commenters who also happen to write. They are Winter Bayne, Tracey Lynn Tobin, and Linda G Hill. No pressure for you three to do this, so do it if you like. Well, I have to concede defeat in Camp NaNoWriMo. I just wasn’t able to do much due to too many variables. I also just wasn’t into this story, as I hadn’t done enough preparation for it. I don’t like going straight into writing if I haven’t done a lot of planning. 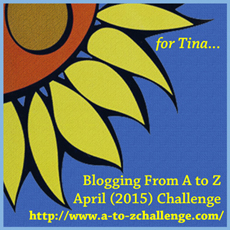 But now, on to the next writing challenge. This one is a course on FutureLearn called Start Writing Fiction. From what I can tell, this mainly helps with character development, but also deals a lot with editing and other aspects of writing. It starts on April 28th and runs for 8 weeks. I’m very interested in seeing where this goes. Anyone else planning to join the course? It’s free. Ever read a novel and the worst imaginable thing happens, your favourite character dies? I’ve done that several times. A Song of Ice and Fire by George R. R. Martin is very well-known for doing this. Now as a very popular TV series, named after the first novel, Game of Thrones is showing an expanded audience what it’s like to have many of your favourite characters kick the bucket. You go through several stages. Disbelief and shock, unable to accept that it happened. You think that somehow they’ll come back. You feel resentful of the author for killing the characters. Finally, you accept that it happened and continue on. Is it good for the book? I think it creates a lot of drama. For a series like A Song of Ice and Fire, it creates a feeling that anything can happen. You have to accept that anyone can die. Very few do it like Martin does. I’ve read some others where not many die, but my favourite character dies. That comes as more of a shock than the deaths in Westeros. But what do you think? How do you take the deaths of your favourite characters? Please don’t post spoilers. With all the worldbuilding posts I’ve been writing, this announcement was perfect timing. I’m talking about Kepler-186f, the planet discovered, and since confirmed by two separate telescopes, orbiting a red dwarf star nearly 500 light years away. It’s a bit bigger than the Earth, and it orbits at about a third the distance from its star than Earth does from the Sun. This infograph shows you everything. This is an incredible discovery, although it was expected eventually. But now we’ve found it, a world very similar to Earth in size and temperature. It’s likely to be able to have liquid water on its surface. As it’s larger than Earth, the higher gravity could hold onto a more dense atmosphere. This would help, as it’s closer to the outer edge of the habitable zone of the star, so some greenhouse effect would be useful. Of course, more work needs to be done. We don’t actually know anything about the atmosphere or the surface of the planet. We know its radius and mass pretty well, but much more direct observation of its spectrum needs to be made. I’m curious about when the first science fiction novel will be written about this planet.